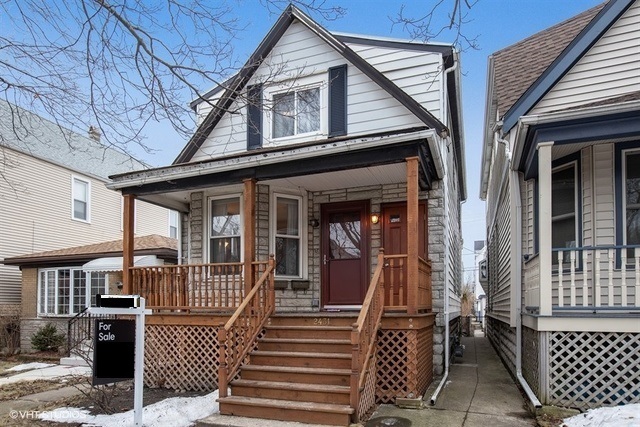 Well-maintained, Frame 2-flat near Lincoln Square/North Center on tree lined Hutchinson Street. Features two cozy 2BR/1BA units and updated systems throughout. Refreshed 1st floor "owner&apos;s unit" boasts gleaming hardwood floors, great vintage details, updated kitchen with SS appliances & ceramic tile bath. 2nd floor needs some updating. Partially finished basement with 2 rooms. Nice front porch and rear deck . 2-car garage. Perfect candidate for a starter, live-in owner or best use fabulous 4 BRMS up/3.5BA SFH deconversion. Huge upside. In sought-after Waters Elementary school district.